A concept design for the precinct. 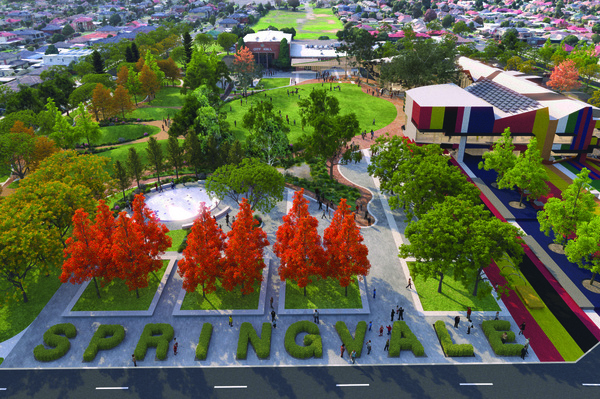 A near-$50 million transformation for Springvale’s heart is taking shape. At the Monday 22 August Greater Dandenong Council meeting, councillors unveiled concept drawings for a revitalised Springvale Community Precinct at 397-405 Springvale Road. They decided that Lyons Architecture should build the project’s $40 million second stage, due for completion in 2020 and to include a library, meeting spaces and outdoor areas. It will replace the former council chambers. Councillors also decided that McCorkell Construction would complete the project’s $7.6 million first stage – refurbishing the Springvale Town Hall. Work, which will start in October and is due for completion next June, will include new heating and cooling, improved lighting and sound, and a deck. “Springvale City Hall is a much-used and well-loved part of Springvale used by community groups on a regular basis,” Cr Sean O’Reilly said. “It will be integrated into the Springvale library and civic precinct. He said stage two would transform Springvale. “Springvale will be reborn with this $40 million project,” he said. 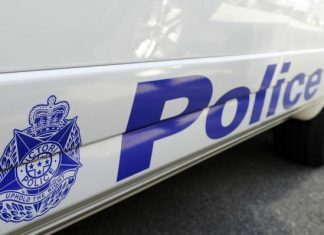 “It’s great to see Springvale moving ahead in leaps and bounds. “It’s just on paper now, it’s just plans, but it is funded. Cr O’Reilly said the Spirit of Enterprise project, a tribute to the Enterprise Hostel, would feature within the civic centre, as would the Springvale and District Historical Society. He held up a book on Springvale’s history. “I’ve renewed it from the library a few times, I must admit,” he said. Roz Blades said Springvale residents had been wondering when their turn would be, with Dandenong’s revitalisation well underway, and she was thrilled with the project. Cr Matthew Kirwan said the proposed two-storey central foyer would encourage use “and also perception of the new building as both a library and a community hub”. “This building is more than a library,” he said. Greater Dandenong Mayor Heang Tak said proceeds from selling the council’s disused Springvale depot would help to fund the project. “The council will also seek government funding for the project,” he said. CEO John Bennie will now negotiate with Lyons to finalise the contract price. Engineering services director Julie Reid said the detailed design phase would also start. “We will start to discuss with council the detail behind the space internally. That will happen over the coming months,” she said. Springvale set for a massive transformation.